Welcome to 90 Jennings Road!! Country living at its best!! Completely updated!! Fresh paint, in neutral tones, beautiful hardwood floors, new carpeting! Three bedrooms fully updated, with wood flooring. Master bedroom with half bath, one full and one half bath!Central air for those hot summer days! Large 2 car garage that can easily be converted into more living space! Large driveway with beautiful New England style stone wall landscaping. Family room, with fireplace feels like a charming country inn.Slate Patio great for a firepit.Perennial Landscaping! Convenient to all the local surrounding communities. 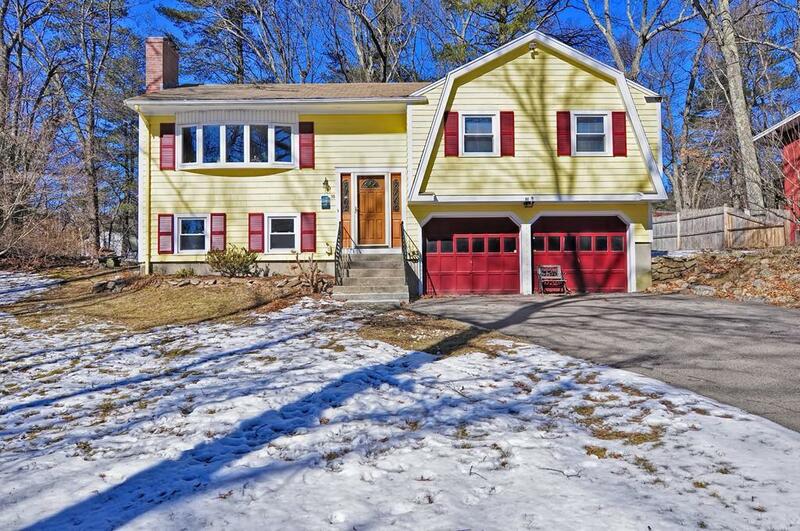 Public transportation available in Ashland, Natick and Framingham, just a short drive away.Close to area hospitals, universities and shopping. Holliston has a french immersion program in the school system.Holliston has the feel of a small country town, but is close to everything, including Boston, Framingham and Worcester.Jennings road is a beautiful tree lined, scenic dead end road! !